The House of Representatives on Wednesday directed its Committee on Ethics and Privileges to investigate media report on bribery of its members over Electoral Act Amendment Bill. Rep. Abdulraman Danburan (Kano-APC), who drew the attention of the house to a media publication, added that his constituents had started calling him on the grounds that he had collected bribe. “All my life, I have tried my best to remain reputable and maintain my integrity, so I want the house Committee on Ethics to investigate the matter. “Let us know what they are trying to tarnish our image in the public for,” he said. Rep. Tajudeen Yusuf (Kogi-PDP) said the news was not only in the newspaper but that the entire social media was awash with the news. He stressed the need to expose those behind the “fake news” and the fallacy in the report, adding that no transaction of that nature existed. Yusuf said that the public needed to know that the report was an attempt to smear the parliament and insisted that the house must not allow it go. Saleh described the reports as “irresponsible journalism”, saying that the publication ought to have investigated the matter before going public. “If after investigation, we are not found wanting, we should sue, so as to stop this continuous attack,” he said. Madaki said should the parliament decide to override the President’s veto on the bill seeking to change the sequence of election, the action would not be against the Constitution. Madaki added that provided that what the parliament was doing was the will of constituents and it was being done it in clear conscience, anybody who was not happy was on own. Rep. Mark Gbillah (Benue-APC) said that the sequence being proposed by the parliament was the most used in the history of Nigeria’s elections. He said the media had allowed themselves to be used to cast the image of the parliament, which remained the backbone of the democracy, in bad light. Gbillah suggested that the house should bring some of the institutions smearing the image of parliament to justice to serve as deterrent to others. 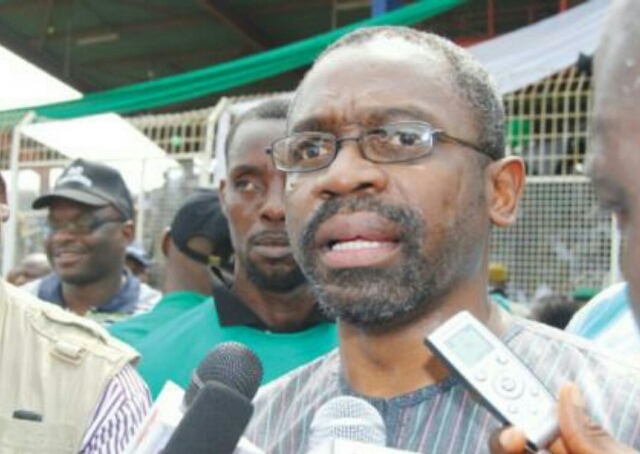 Leader of House, Rep. Femi Gbajabiamila (Lagos-APC) said that bribery and corruption were criminal and punishable by imprisonment. “We cannot leave this matter to ethics committee for the members have also been indicted and they cannot be judges in their own case. “We should take a class action on it by filing a suit in court; you cannot speculate on such a matter that is so injurious. “When you are defamed, you go to court; I think this matter should be taken to court. “This is fake news and we need to take a class action on it; we need to do a re-accreditation of those press organisations we allow into the chambers,” he said. The Chairman, Committee on Rules and Business, Rep. Emmanuel Okereke-Jev (Benue-APC) urged the house to focus on its duties and not be distracted by false publications. He said the house should ignore those behind the publication as it was a ploy to drag parliament into controversies. In his ruling, Speaker of the House, Mr Yakubu Dogara, referred the matter to the Committee on Ethics and Privileges to determine if the privilege of the house was breached. He said that the house would rely on the recommendations of the committee before further actions would be taken.